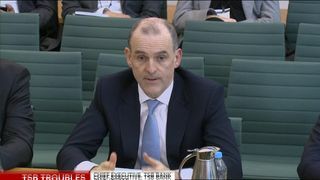 A senior Conservative MP is demanding a personal intervention from the under-fire boss of TSB to help customers who have been unable to access their accounts online for a month. Neil Parish, MP for Tiverton and Honiton, has taken up the case of a constituent who was so desperate she sat outside her local branch in a deckchair for an hour waiting to see the manager.Like many thousands of other TSB customers, Joy Raymond, who runs a small holiday accommodation business near Lyme Regis, has been unable to pay bills or read statements online for four weeks.“Some businesses must be on the verge of going under,” she told Sky News. "I can't access the online banking facility, which is how I pay my bills and see my day-today statements, which in business these days is a must. 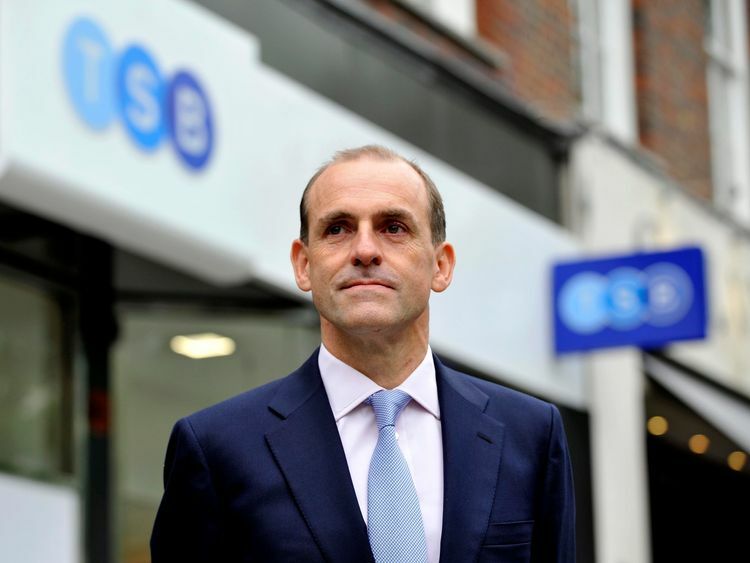 "The online chaos is the result of a botched IT upgrade which has potentially affected up to 1.9 million TSB customers, some of whom have their accounts cleared out by fraudsters.Last week, a former police inspector in Scotland forced TSB to reimburse €2,500 stolen from his account after staging a three-day sit-in at his local branch and refusing to leave until he found out what happened to his money.A vet who was called by a fraudster pretending to be from TSB lost almost €17,000 in minutes, prompting mounting concern that TSB customers are being targeted by conmen taking advantage of the IT meltdown. Mr Parish, a farmer who chairs the Environment, Food and Rural Affairs Select Committee of MPs, has written to TSB's chief executive, Paul Pester, calling on him urgently to look into Ms Raymond's "frustrations" and personally provide some answers.Earlier this month Mr Pester was accused of complacency after telling the Treasury Select Committee of MPs the problems would be solved "soon", claiming the IT upgrade had gone smoothly and not knowing how many customers had been affected.With TSB now being called the "Totally Shambolic Bank" by critics as the scandal rumbles on, the bank is already facing the prospect of a hefty fine imposed by bank regulators as well as compensation payments to customers. "I'm calling for the CEO and the entire board and all senior executives to resign," Ms Raymond told Sky News. 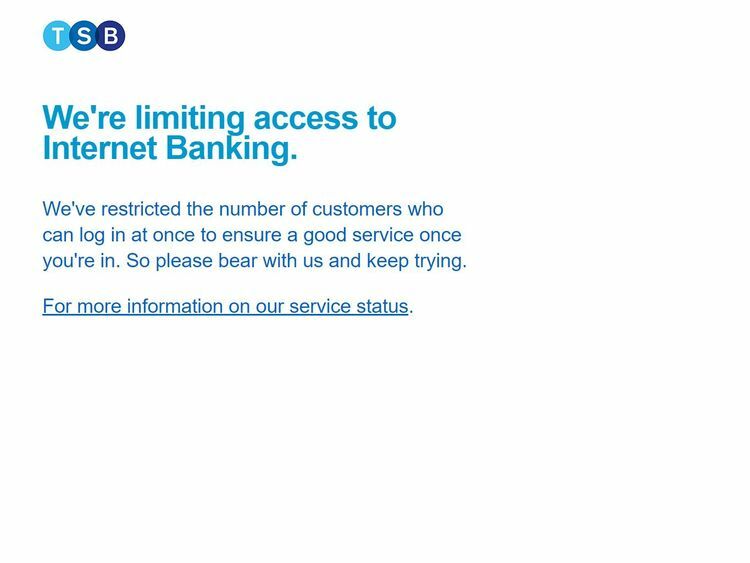 :: TSB 'data breach' amid online banking upgrade chaos"It's a disgrace. Don't let them fool anyone by saying it's all nearly working. No way. It's nowhere near working. "I can't access my business account or even see what's in it. Neither online or the business app are working. The app is a million miles from readiness. All it tells you is that you've logged in and your name and that's that. "It's logging itself in and out like a yo-yo - terrifying. I can now see my personal account but that's it. I can't see credit card statements either. It’s shocking state of affairs. "Not only have I not been able to access or see my business account online, but if you try to phone they won't speak to you either. This is worse than awful. "It's pointless phoning as they say there’s a 30-minute wait. What an outrageous state of affairs. "I waited 30 minutes, only to be told my business account was blocked from seeing it online and I needed a password to open it, which they sent by text five hours later. "I was on the phone for an hour and 10 minutes and after much faffing, trying various passwords, temporary passwords texted to me, all were refused of course. "I finally got into my personal account again and was told I didn't have business online banking. I have, of course, had business online banking since it was invented! "So I had to go into my nearest branch of the TSB armed with passport, driving licence, pint of blood etc. to re-register for business online banking again! "I have of course put in a claim for compensation and was put through to the complaints department who have made a note of my calls and now my trip to the branch. It will be interesting to see how they quantify a month of stress. "I very much hope Mr Pester loses his job as soon as this is fixed and takes the top tier of management with him.”Describing her visit this week to her nearest TSB branch, Ms Raymond said: "I got a deck chair and sat outside the branch, 30 minutes' drive away, from 8am until it opened at 9am, as I'd heard that they had been queuing out the door. "I went in and the local manager was very helpful and took me to a side room, which meant I could at least I could get a statement printed out for the first time since Friday 20 April. "He couldn't get me sorted either, as according to his computer I had an online account already set up with conflicting information saying I didn't and it wouldn't let him set me up another. "He couldn't get a response from the staff phone line to HQ. I took pity on him after an hour and left him to it. He rang me at home and said the TSB IT department would contact me. I have two hope: no hope and Bob Hope. "Fortunately I still have a cheque book, otherwise I wouldn't be able to pay anyone unless they take card payment. "This problem has not gone away!" TSB says it is working around the clock to fix the problems. "Our focus is putting things right for our customers and no customer will be out of pocket as a result of what’s happened," a spokeswoman said.